The D vitamin is the only vitamin that is not obtained from foods that are consumed. 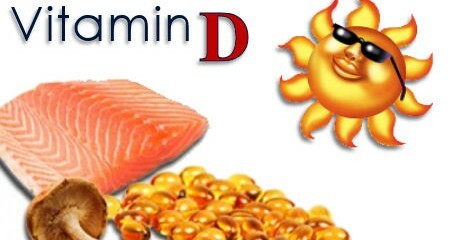 Instead, the D vitamin is actually obtained by sunlight on the skin. There has been a lot of media coverage about the dangers of getting too much sun but it is essential that the skin is exposed to sunlight to obtain the recommended daily allowance of the D vitamin. In reality, the amount of time that a person has to spend in the sun to receive a sufficient dose of the D vitamin is extremely small and just a few minutes a day will be sufficient and not have any adverse effects from the amount of ultra-violet light received. The most important function of the D vitamin is to help control how much calcium is absorbed from food. The majority of the calcium is used to build strong teeth and bones but it is also needed to send messages along the nerves and to help muscles, such as the heart muscles, to contract. It is the D vitamin that ensures that there is always sufficient calcium in the blood to perform these tasks. Other functions that require the D vitamin relate to the immune system and it is believed that it is also a contributing factor in reducing the risk of contracting cancer and, in particular, colon cancer. The variant of the D vitamin that is formed under the skin is known as vitamin D3, or cholecalciferol. This D vitamin is created when the ultraviolet in the sunlight reacts with a type of cholesterol that is found under the skin naturally. The D3 is converted into a more active form of the d vitamin in the liver and is then diverted to where it is needed the most. Some of the D vitamin remains in the liver and kidneys to help reabsorb the calcium from the blood. The rest of the D vitamin is dispersed to the bones to help them retain their calcium and the intestines to aid absorption of calcium from food. Even though the majority of the D vitamin is formed through the exposure of the skin to sunlight there are some foods that do contain some of the vitamin naturally. This form of the D vitamin is known as vitamin D2, or ergocalciferol. This is used in the same way as the other D vitamins and is the type used to create the majority of D vitamin supplements.